The last Friday before Christmas...forget about all the things you need to do and check out these fun links on the internet instead! Eep! It’s the last Friday before Christmas! Mike and I have been enjoying our time in Tokyo (follow our foodventure here), eating all the things and looking at all the holiday illuminations. We have a classic Japanese fried chicken feast planned for Christmas day but we’re skipping out on presents this year – although maybe I’ll find something underneath our very tiny paper tree? One can always hope! This incredible wagyu beef bento looks AMAZING. Not in the states this year but I’m still interested in all the holiday offerings Trader Joe’s has…have you tried and loved any? I admit, I love taking selfies, but not to the extent that the Chinese love taking selfies. The multimillion dollar industry of low cal ice cream. I haven’t tried Halo Top, but I want to! Thoughts? I have never been to a bar mitzvah/bat mitzvah but apparently there are hype men you can hire?! Side note, Drake had a bar mitzvah themed birthday party this year. I think these are wrong but I did have an avocado accident, so I get why seedless avocados are a thing. So much insta drama!! Who’s copying who?! Longform did a best of 2017 round up, these two were crazy reads: a LA con man (find the other parts here) and hazing in an Asian American Frat. The internet is a double edged sword – the most hated poet in Portland. A very in-depth, very good article on sandwiches and Britain. h/t to Mike for that one! $6 dollar bread and what the rich won’t tell you. 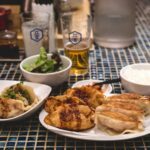 Have you heard of Baku? American food halls: the promise and the let down. What is even is this golden retriever Christmas tree madness?! These pan-banging chocolate chip cookies took over the internet this year and I so want to make some soon! These holiday animal donuts are too cute. Super festive holiday light sugar cookies. I love popcorn during the holidays and this sesame caramel corn sounds AMAZING. We’ve been eating so many dumplings here in Tokyo, and I can’t wait until I will be able to make some at home. Digging these ones because they have tofu in them! Side note, while I’m loving all of the sweet treats everyone puts out during December, where are the savory things?! Give me savory things all day every day!! Is this not the sexiest electric kettle you’ve ever seen? I’m obsessed with everything Noda Hodo. If you’re still looking for last minute gifts, check out the gift guide! Going HAM over this honey glazed spiral ham. Instant Pot mashed potatoes because potatoes are life. Ultra comforting Japanese beef stew. We ate at high end Japanese sushi. A couple of round ups: brunch, holiday treats, appetizers. Thanks again for linking my dumplings! 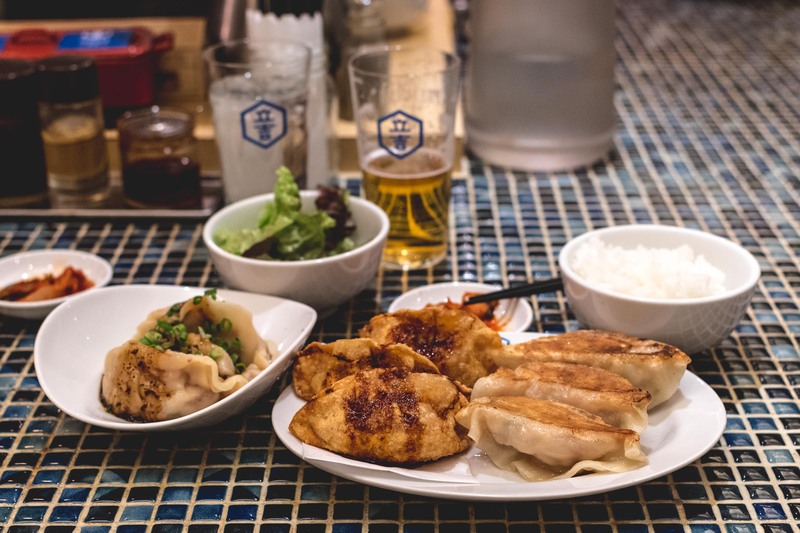 I wish I could be eating dumplings in Tokyo! Also, totally agree that potatoes are life. =) Merry Christmas!